The Teams are on the ground and moving around. For celebrities, private individuals and corporate executives attending functions associated with the 2009 Presidential Inauguration, ICON can provide you with premium security services. For more information visit www.DNCSecurity.com or contact 651-695-8778. Erik Oseland, one of the six group members arrested here, produced a video called “Video Map of the St. Paul Points of Interest.” It included such major companies as Travelers Insurance and Qwest, hotels such as the Embassy Suites and the Crowne Plaza. Click on the exerpt for the full story. Organized, well-financed and violent Mexican kidnapping cells are targeting a growing number of U.S. citizens visiting communities popular with San Diegans and other California residents. Last year, at least 26 San Diego County residents were kidnapped and held for ransom in Tijuana, Rosarito Beach or Ensenada, local FBI agents overseeing the cases said yesterday. In 2006, at least 11 county residents had been kidnapped in the three communities…Most of the victims have business interests or family members in Mexico. If your traveling to Mexico, please take reasonable precautions. 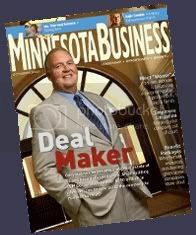 Minnesota Business Magazine recently did a profile on me in the Out Of The Ordinary section of Business Briefs. It discuss a little of my background, upcoming plans with the company and most importantly, the ISC SafetyNet. Click here for the story. Elijah Shaw, a direct man who keeps steady eye contact, is comfortable watching for signs of danger when rap and hip-hop musicians or supermodel Naomi Campbell are in the spotlight. The nationally renowned bodyguard has called Minnesota home for 10 years, but his work has taken him to the capitals of glitz and glam, places like Hollywood and Las Vegas. Full story behind the link. Looks like a subscription service is needed for full access to the site so interested parties can view the full article here. 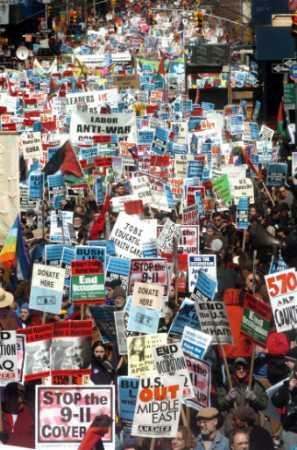 Minnesota – Antiwar activists hope to stage a “massive demonstration” on the opening day of the 2008 Republican National Convention that takes them from the State Capitol past the Xcel Energy Center, where the GOP will meet Sept. 1-4. Whether their vision will come to pass remains to be seen. The Secret Service will set a security perimeter around the convention, and local police officials say they won’t decide on parade permits until next spring. Full story behind link. KSTP Television News did a segment on this story that I participated in today. In it I tried to stress the fact that while permits will not be issued for protesters until 6 months prior to the RNC Convention, Multi-Jurisdictional Tasks forces are already in place prepping for the logistical nightmare that a convention of this size is going to mean for the Twin Cities of St. Paul and Minneapolis, MN. (However, how much of that came across in the 14-second sound bite of the 2-minute segment that aired, is open for debate.) From a security perspective, this will be the biggest event in Minnesota history and proper planning and coordination is essential to ensure the safety of everyone politicians, residents, visitors and protesters.